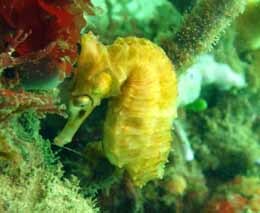 The township of Nelson Bay is the heart of the Port Stephens Area, a large coastal bay giving access to a variety of shore dives, boat dives, and wreck dive sites. 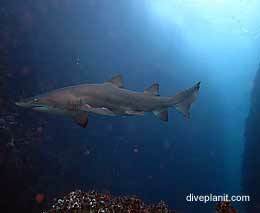 It is the best point from which to dive Broughton Island, about 20 km northeast of the entrance. 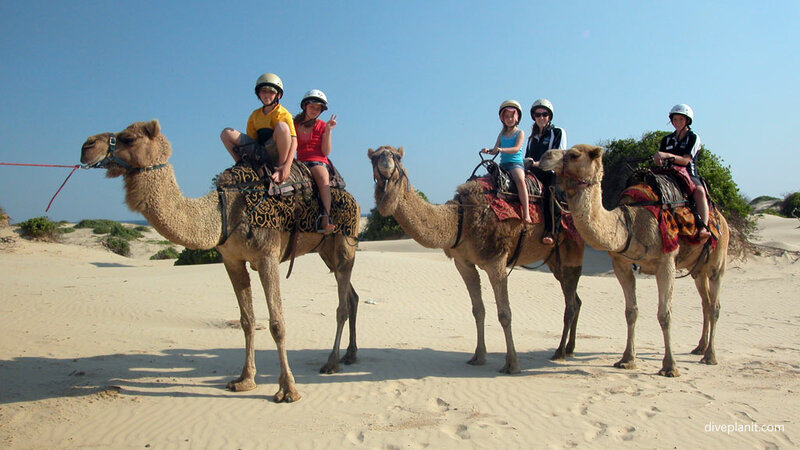 As well as the diving, the area is a popular spot for family holidays, with a wide range of activities on offer, from surfing and kayaking to bush walks, camel rides and go-karting. Nelson Bay is about a 2½ hour drive from Sydney, 45 km east of where the Pacific Highway runs through Tomago. 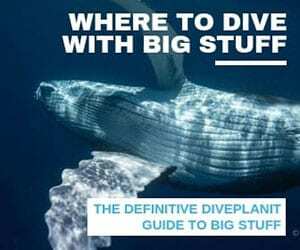 There are two long established dive operators based in Nelson Bay, both offering the full range of training, services and dive trips out to Broughton Island and the other two dozen or so boat and shore dives in the area. 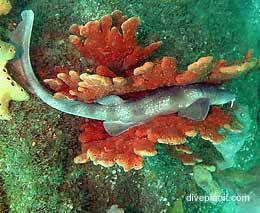 There are a number of local shore dives, including ‘Halifax Park’ which can be done as drift or reef dive. Thousands of fish in a very colourful sponge garden. 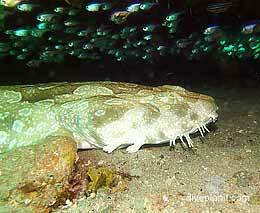 Check out the operators’ websites for details of this and other shore dives. 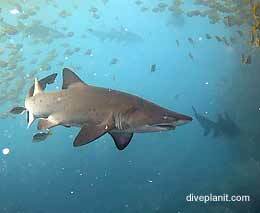 The signature dives are on Broughton Island, in particular ‘Looking Glass’ which is a dive through a crack / arch in the rock, which you’ll share with grey nurse sharks. 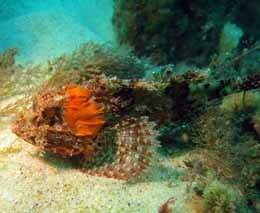 This should be at the top of your agenda if you have not dived Nelson Bay before. If the boats are not heading all the way to Broughton, there are more sheltered alternatives around Cabbage Tree Island which is just outside the ‘bar’. Oaks Pacific Blue is a bit further along the coastal drive on Sandy Point Rd in Salamander Bay. Accommodation styles range from studio to swim-out apartment and 3-bedroom suites with plunge pool. Marina Resort is within walking distance of the marina so easily the most convenient launching pad for a couple of days’ diving. It’s recently been refurbished and the rooms are a decent size. 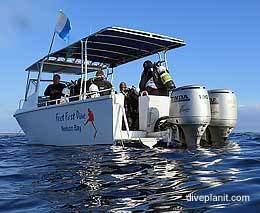 Your operator may also have a couple of recommendations – or a Diver’s Den if you’re lucky. If you really want to splash out, The Anchorage is pretty special, with a range of fine dining options, day spa and your own private waterfront balcony. 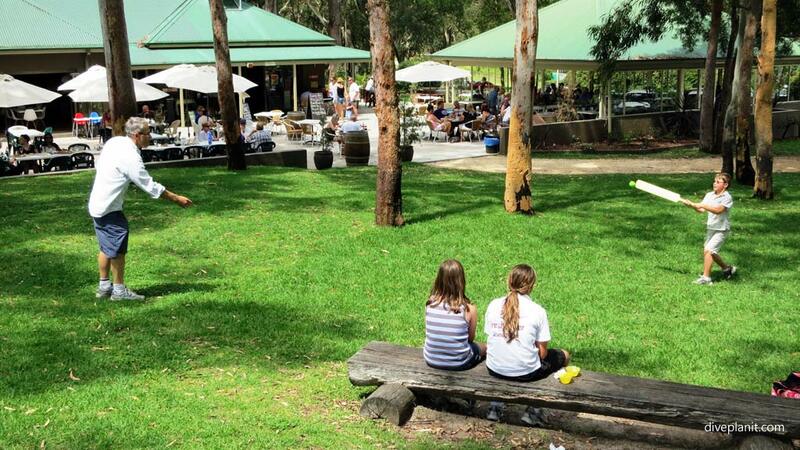 The Wood Oven and Sharky’s Pizza Shack in Nelson Bay are both great budget options for pizzas, pasta and salad. Takeaway also available. Great fish & chips to be found at Nelson Bay Fishermen’s Wharf Seafoods, a bit of an institution and right there on the marina – a very handy spot to eat after a dive, unfortunately is not open for dinner. Catch at Shoal Bay. 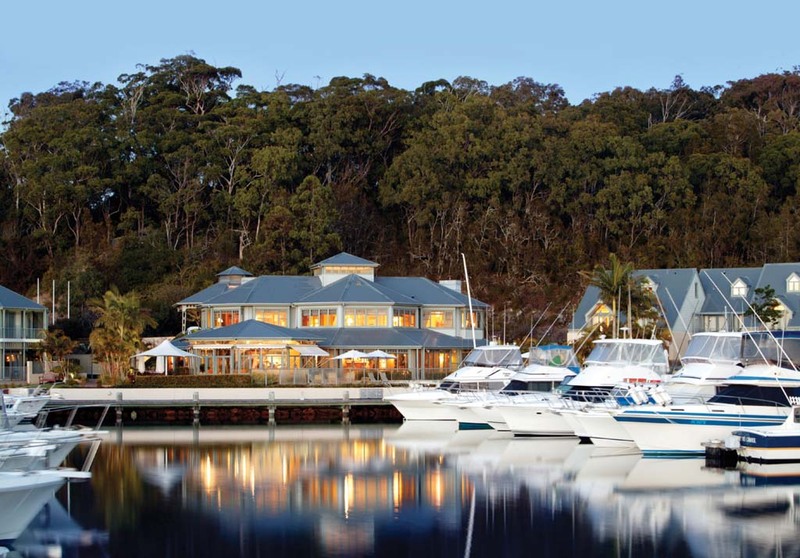 If you feel like something a little fancy then head over the hill to Shoal Bay Resort. The restaurant has sweeping views of the beautiful bay and a great range of top notch seafood dishes as well as the finest selection of wines in the area. 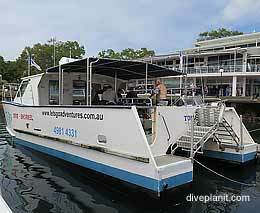 As most divers drink beer it would be remiss to omit Murray’s Craft Brewery and Restaurant which is at Bob’s Farm on the Nelson Bay Road. The town centre of Nelson Bay is walkable, and it’s a short drive to most of the other places of interest in Port Stephens. Nelson Bay has many transport services – use the good ol’ fashion Yellow Pages. 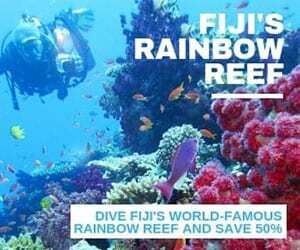 On the water there’s diving, surfing, snorkeling, parasailing, and dolphin and whale watching. On the land there are excellent walking tracks in Tomaree National Park, and look-outs at Gan Gan, Tomaree Headland and the Nelson Head Heritage Lighthouse Reserve. If you have a spare afternoon the Tomaree Head Summit Walk is well worth the effort. 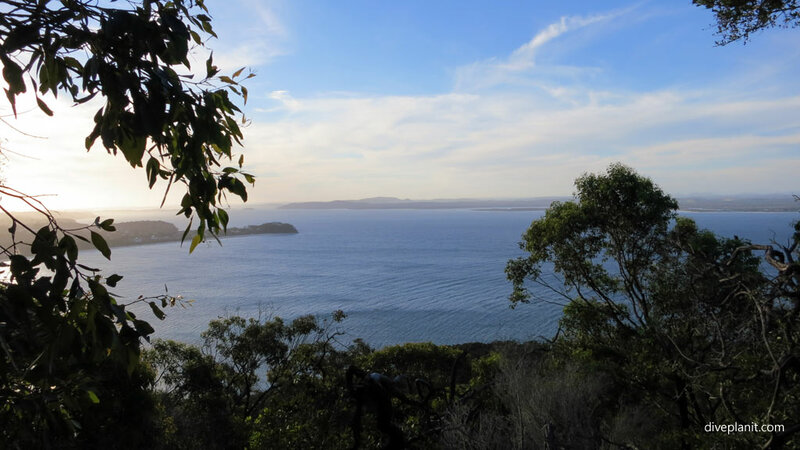 It winds through national parkland around Tomaree Headland to the summit, with sweeping views of the coastline. There are a few great walking tracks along the coast and Wreck Beach is one of the best, taking you along pristine beach past a rather photogenic rusting hulk of a wreck. There is a wide range of activities on offer at the nearby Worimi Conservation Lands (Stockton Bight Sand Dunes), and they are worth visiting just to look at anyway. The dunes cover an area of 4,200 hectares and climb up to 40 metres high along the 32km beach. A range or tour options are available including camel treks, four-wheel drive tours or quad bike tours, and you can also take your own 4WD for a bash if you have one. Or you can just enjoy the numerous beaches and fresh local produce. You will find plenty of ideas here. 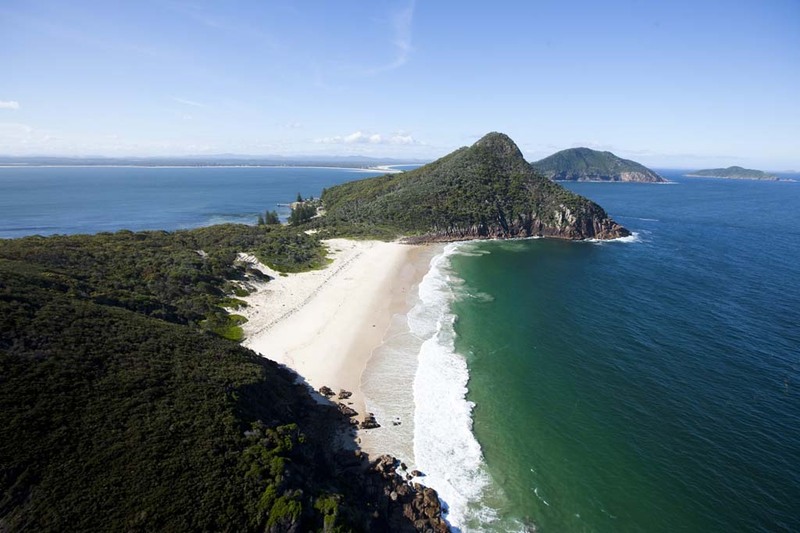 Port Stephens Tourism have a really informative website which has directions for driving, and options from coaches to flying and hiring a car. If you don’t like an early breakfast, take a (practical) bite to eat and enjoy it on the way out to Broughton Island.